Throughout history, people have collected coins – old, rare, interesting and unique. Serious numismatics gravitate toward rare coin collecting for many reasons. It could be the opportunity to learn more and own a piece of U.S. history. Or it could be the challenge of acquiring something extremely rare and valuable, which affords buyers a unique sense of pride of ownership. Rare coins become a family legacy and can help build conversations across generations as the history and unique story of each coin is shared. Rare coins are treasured family collections that are passed down to children and grandchildren. While rare coin acquisition has many appeals, it also offers tremendous investment opportunity. Rare coins have increased in value in nine out of the last 10 years. Even for numismatics who collect rare coins for reasons beyond the monetary value, consider acquiring coins with a collector's mentality as it has the potential to increase the value of your total rare coin portfolio. Here are five suggestions to help guide your coin acquisitions. Focus on the Rarity. Buy the rarest coin you can afford. 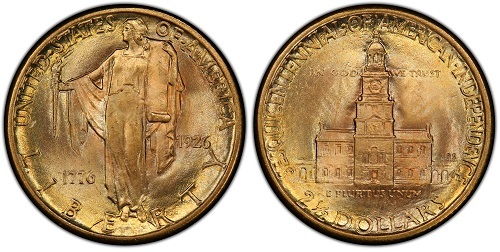 The U.S. began minting gold coins in 1795 and that continued until 1933. For example, there is a finite supply of coins from the Carson City Mint, which struck gold coins in the $5, $10 and $20 denominations from 1870 to 1885 and then again from 1889 to 1893. Unlike today's modern world where the Federal Reserve prints money constantly, there will never be another Carson City gold coin struck. Select a Specialty. One example could be the Peace silver dollars from 1921 to 1935. This coin commemorates the declaration of peace between the United States, Germany and Austria. More than 190 million Peace Dollars were minted, containing 90 percent silver and 10 percent copper. Or, collectors can focus on building a coin collection from a specific mints. These could include the Philadelphia Mint, the Carson City Mint, of, the San Francisco Mint which formed in 1952 in response to the California Gold Rush. Build Sets. One example of a set is to collect U.S. $20 gold coins that were first minted in 1849 and last made in 1933. Creating and building a well-throughout set of coins can increase your level of enjoyment as you learn more about the history behind each coin. Purchase Trophy Coins. For those who can afford it, owning a trophy coin offers so much more than the monetary investment opportunity. One such coin could be an 1804 Silver dollar, which is one of the rarest of all American coins. This is known as the "King of American Coins." Be choosy when it comes to your rare coin acquisitions. Chose quality over quantity. Develop a plan and purchase the best quality coin you can afford.